(3) Make sure that the R3_6_Check matrix matches the R3_6 matrix, in order to confirm that your Theta 4, 5, and 6 values are valid. This video introduces the 'spherical wrist' - a 3-degree-of-freedom device that is often attached to the end of a standard type 3-DoF manipulator, together making a single 6-DoF manipulator. 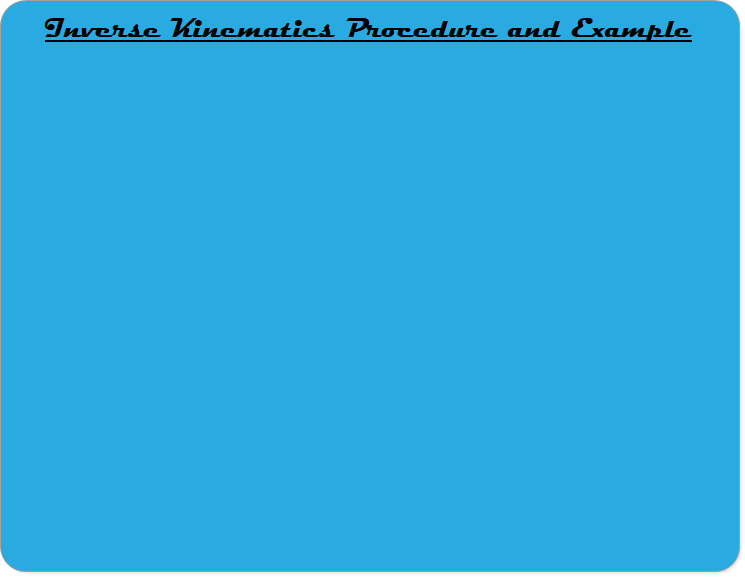 In this video, we learn the procedure for doing inverse kinematics for manipulators with more than 3 degrees of freedom. 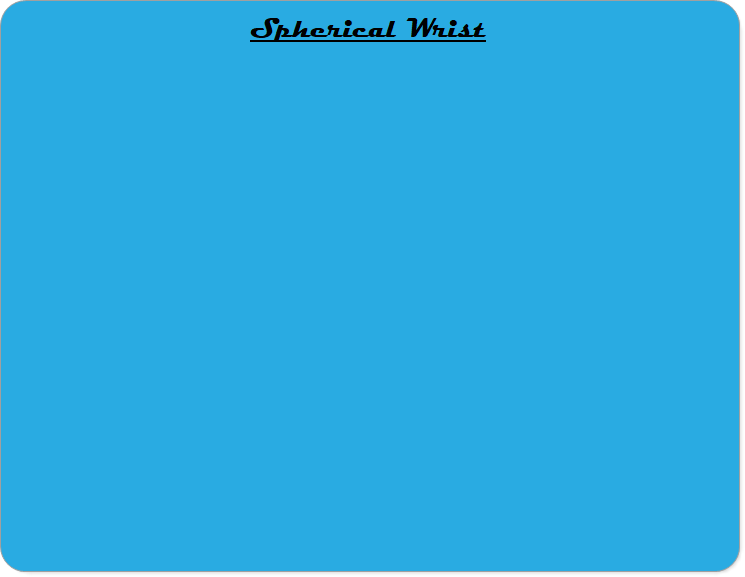 We do an example of a cylindrical manipulator with spherical wrist, and we solve the problem by writing code in Python.